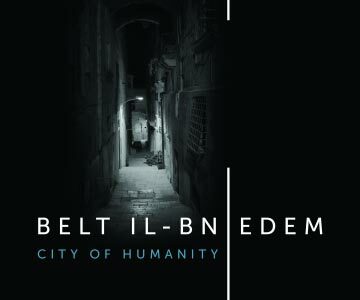 City of Humanity is a brand new opera cycle of 3 interrelated operas. The first opera City of Humanity 1 – Behind the Fortifications shall be premiered on the 14th of November 2018 in the Republic Hall at the Mediterranean Conference Center when Valletta (the capital city of Malta) shall be the European Capital of Culture. City of Humanity 1 is set during the Great Siege of Malta in 1565 and combines fact and fiction to produce a libretto which will capture you from the very beginning to the finale. Tickets start from €30. The libretto is by the veteran Maltese author Gorg Peresso whilst the music is by the international Maltese composer Reuben Pace. The direction is by Michael Moxham and the set design by Nicky Shaw. The second opera City of Humanity 2 – The Island Fortress shall be premiered in 2019 whilst the third one City of Humanity 3 – The Age of One or Nil shall be premiered in 2020. For enquiries on cultural packages to view the opera and other cultural events in Malta contact Travel Trade Ltd.
Louise Sammut, Sales and Marketing Executive.